Inspiring examples of leadership are vital oxygen for individuals, organizations and communities. 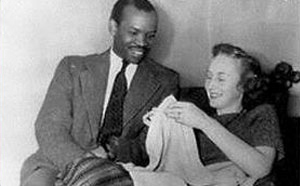 Seretse Khama’s life is a compelling story. Check out the movie of this amazing man’s life and love: A United Kingdom. Based on the book, The Colour Bar, it has met with wide praise. Khama’s example reminds us that effective leaders often endure hardship to achieve justice for others. His commitment and endurance are worth imitating.